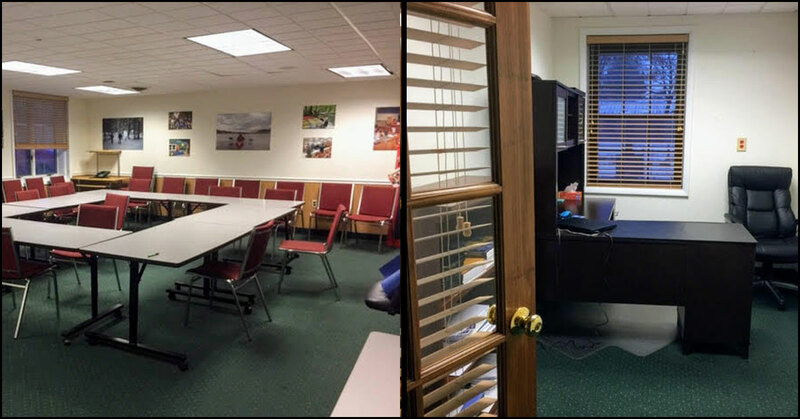 Looking for Commercial Office Space in the Glens Falls Area? We've Got the Office Park for You! Sandy Hill Office Park is a smart office building located near Glens Falls in Hudson Falls. We sat down with the building owner and manager John Holland to learn a little bit more about this space, what makes it stand out from the competition, and what it means to be a "smart office." 1) Hudson Falls appears to be going through a resurgence in recent years. What makes this a great place for an office? Hudson Falls and Kingsbury represent the current "new frontier" of development and growth which has surged northward from Tech Valley and Luther Forest to Saratoga, Wilton, Glens Falls, and now to this immediate surrounding area. A makeover of Route 4 will have a similar look to the project just completed on Warren Street in Glens Falls. Route 4 has become very attractive to the medical services and insurance field, as evidenced by the many recently opened offices in the corridor. Many other projects in the area are in the works as well - a new pharmacy is negotiating for property at the northwest corner of Route 4 and Dix Avenue, a new Mexican restaurant has opened, and more. 2) What do you think people should look for when looking into office space? The office space should be attractive and competitive in the marketplace, the price has to be competitive, and it's all about location, location, location. 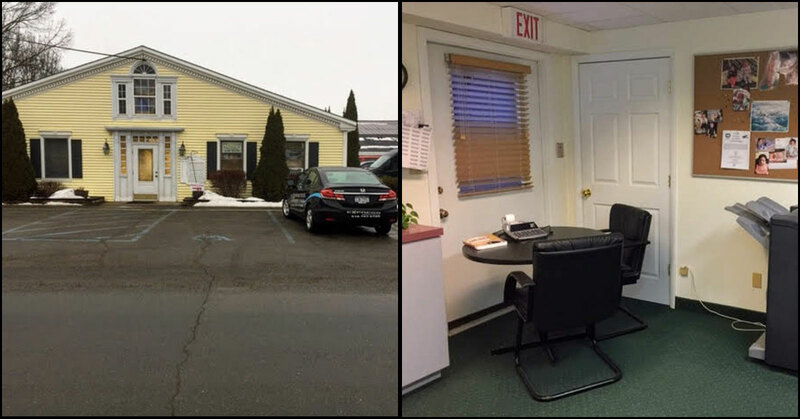 Sandy Hill Office Park has easy access to Glens Falls, Queensbury, and Fort Edward (approximately five minutes from each), with very competitive pricing, and comprehensive quality renovation. The only thing remaining is the opportunity to have prospective tenants take a tour. The building speaks for itself and I expect the remaining suites will be occupied in the very near future. 3) What is the parking situation for this office? Forty car parking is provided immediately outside with six convenient entrances, all of which are handicap accessible on the ground level. There are also four new entrance doors, and a new entranceway with a Tiffany chandelier, a marble and granite floor, a chair rail, and distinctive molding. 4) This is a "smart building" - can you talk about what that means and the advantages? A smart building provides universal voice and data transfer between all rooms and suites as required. WiFi is the way to communicate now for phones and computers and so forth, but some people need to be able to have the security of a hardwired system. The building is completely hardwired. Every room has multiple jack outlets for voice and data. You can speak to or connect hardware to any jack in any room anywhere in the building. I removed 2,000 pounds of communication wiring, phone wiring, etc. I stripped it all out and started from scratch. 5) Similar to above, what is the parabolic lighting you offer and why would that be a good choice for an office? Parabolic "low e" lighting is CRT- and computer screen-friendly. Parabolic lighting helps to minimize glare, thus minimizing fatigue and stress on people in the space who are using electronic devices. All the fixtures were replaced. It enhances the occupants' productivity and comfort. 6) And what is the situation with the utilities? I see you have Lenox air - what makes that advantageous? Virtually all marketplaces lease on a net basis, or a triple net basis. What this means is that they'll quote you a price, but then you pay for utilities and taxes, and each of those is an additional net. So if you have a rate of $10 triple net, you calculate the square footage by the $10, but you can expect each month to be somewhat higher depending on utilities and etc. For Sandy Hill Office Park, I quote a gross rate. It's not going to vary, it's dependable. I pay for your utilities, I pay for everything, other than you might have to carry your own garbage out, but I provide the dumpster and it will be in a convenient spot. Lenox air is a manufacturer. I went in and put all brand new air conditioners in, and it's all a central air system. There are six of them in the building and they're all brand new and highly efficient - this benefits me, because I pay the bill. They're nice and quiet, and they work well. I keep the filters changed every three or four months. 7) Is there anything else we should know about this office space? The building is very unique in the sense that it's composed of 14 separate suites, but I refer to it as flex space because the way it's laid out it's abnormally easy to integrate continuous spaces. So for example, I have had in the 14 suites seven or eight tenants, and they all have their own individual space that is made up of several suites. When they're set up it doesn't feel like separate suites, it feels like individual office spaces within a separate tenant space. The advantage is that if a potential tenant is looking at our ability to build to suit or structure to suit, this has worked out exceptionally well to meet the needs of the tenants I've had. It's nice to have custom office space meeting your specific demands. Everybody has something a little different and we've been able to come up with the combinations that work for everyone. The building is 13,500 square feet and I've owned it for 11 years; it's been occupied for 10. It's within walking distance of so many places for restaurants, shopping areas, and so forth, and money continues to be poured into the immediate area. I'm on the premises on a regular basis. I'm within 10 to 15 minutes away at almost all times and I don't live far from the site. I pride myself in being able to go in and make sure everyone is okay. We all get along so well and I think they appreciate that. So far it's been a fun run with a great journey with this property. It's also the only one I manage. This office park has it all! 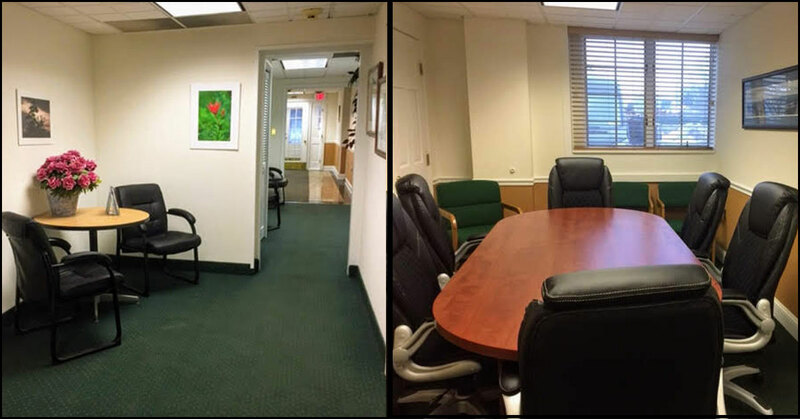 It's in a great location, it's a smart office, computer screen-friendly lighting is provided, there is plenty of parking, and the hands-on manager will work with you to customize the space to your needs. If all of the above sounds enticing contact John Holland for a tour at 518.480.8021.